Part 5: What are the characteristics of a crowdsourced investigation? What made the crowdsourcing successful? Clearly, a distinction should be made between what made the investigation successful as a series of outcomes, and what made crowdsourcing successful as a method for investigative reporting. This section concerns itself with the latter. What made the community gather, and continue to return? One hypothesis was that the nature of the investigation provided a natural cue to interested parties – The London Weekly was published on Fridays and Saturdays and there was a build up of expectation to see if a new issue would indeed appear. The data, however, did not support this hypothesis. There was indeed a rhythm but it did not correlate to the date of publication. Wednesdays were the most popular day for people contributing to the investigation. Upon further investigation a possible explanation was found: one of the investigation’s ‘alpha’ contributors – James Ball – had set himself a task to blog about the investigation every week. His blog posts appeared on a Wednesday. That this turned out to be a significant factor in driving activity suggests one important lesson: talking publicly and regularly about the investigation’s progress is key to its activity and success. Hickman describes the site as a “centralised sub-network that suits a specific activity” (2010, p12). Importantly, this sub-network forms part of a larger ‘network of networks’ which involves spaces such as users’ blogs, Twitter, Facebook, email and other platforms and channels. In the London Weekly investigation the site also helped keep track of a number of discussions taking place around the web. Having been born from a discussion on Twitter, further conversations on Twitter resulted in further people signing up, along with comments threads and other online discussion. This fit the way the site was designed culturally – to be part of a network rather than asking people to do everything on-site. The presence of ‘alpha’ users like James and Judith was crucial in driving activity on the site – a pattern observed in other successful investigations. They picked up the threads contributed by others and not only wove them together into a coherent narrative that allowed others to enter more easily, but also set the new challenges that provided ways for people to contribute. The fact that they brought with them a strong social network presence is probably also a factor – but one that needs further research. The site had been designed to emphasise the role of the user in driving investigations. The agenda is not owned by a central publisher, but by the person posing the question – and therefore the responsibility is theirs as well. This cultural hurdle – towards acknowledging personal power and responsibility – may be the biggest one that the site has to address, and the offer of “failure for free” (Shirky, 2008), allowing users to learn what works and what doesn’t, may support that. The fact that crowdsourcing worked well for the investigation is worth noting, as it could be broken down into separate parts and paths – most of which could be completed online: “Where does this claim come from?” “Can you find out about this person?” “What can you discover about this company?”. One person, for example, used Google Streetview to establish that the registered address of the company was a postbox. Other investigations that are less easily broken down may be less suitable for crowdsourcing – or require more effort to ensure success. A regular supply of updates provided the investigation with momentum. The accumulation of discoveries provided valuable feedback to users, who then returned for more. In his book on Wikipedia, Andrew Lih (2009 p82) notes a similar pattern – ‘stigmergy’ – that is observed in the natural world: “The situation in which the product of previous work, rather than direct communication [induces and directs] additional labour”. An investigation without these ‘small pieces, loosely joined’ (Weinberger, 2002) might not suit crowdsourcing so well. One problem, however, was that the number of diverging paths led to a range of potential avenues of enquiry. In the end, although the core questions were answered (was the publication a hoax and what were the bases for their claims) the investigation raised many more questions. These remained largely unanswered once the majority of users felt that their questions had been answered. As in a traditional investigation, there came a point at which those involved had to make a judgement whether they wished to invest any more time in it. Finally, the investigation benefited from a diverse group of contributors who contributed specialist knowledge or access. Some physically visited stations where the newspaper was claiming distribution to see how many copies were being handed out. Others used advanced search techniques to track down details on the people involved and the claims being made, or to make contact with people who had had previous experiences with those behind the newspaper. The visibility of the investigation online also led to more than one ‘whistleblower’ approach providing inside information, which was not published on the site but resulted in new challenges being set. The final part of this series outlines some conclusions to be taken from the project, and where it plans to go next. This entry was posted in online journalism and tagged Andrew Lih, crowdsourcing, help me investigate, Jon Hickman, research, stigmergy on November 16, 2011 by Paul Bradshaw. Earlier this year I and Andy Brightwell conducted some research into one of the successful investigations on my crowdsourcing platform Help Me Investigate. I wanted to know what had made the investigation successful – and how (or if) we might replicate those conditions for other investigations. 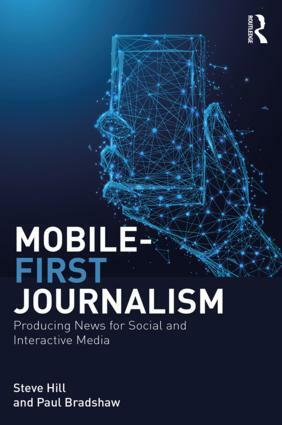 I presented the findings (presentation embedded above) at the Journalism’s Next Top Model conference in June. This post sums up those findings. The investigation in question was ‘What do you know about The London Weekly?‘ – an investigation into a free newspaper that was (they claimed – part of the investigation was to establish if this was a hoax) about to launch in London. The people behind the paper had made a number of claims about planned circulation, staffing and investment that most of the media reported uncritically. Martin Stabe, James Ball and Judith Townend, however, wanted to dig deeper. So, after an exchange on Twitter, Judith logged onto Help Me Investigate and started an investigation. This entry was posted in online journalism and tagged Andrew Lih, crowdsourcing, help me investigate, James Ball, journalism's next top model, Judith Townend, martin stabe, research, stigmergy, the london weekly on October 22, 2010 by Paul Bradshaw. I’ve been meaning to blog for a while now about 2 excellent books I’ve read this year about communities online, both of which are pretty much essential reading for anyone involved in community management. 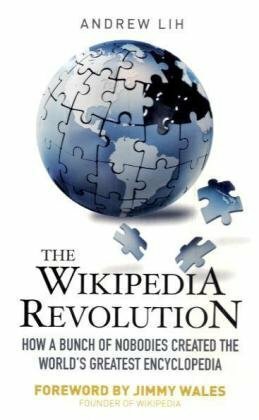 The first is Andrew Lih’s book The Wikipedia Revolution. Lih is for me the world’s leading academic on Wikipedia, not least because he’s been a participant in Wikipedia himself and has a great understanding of how the community works from the inside. The book charts how the community has evolved from one that was maintained by personal connections to a whole stratified society of rules, roles, technologies and norms. 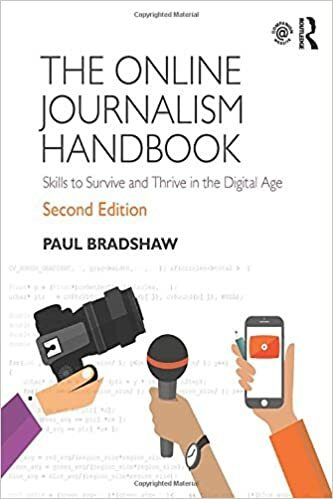 Particularly key are the sections on the development of the ‘Spanish Fork‘ (the mere mention of a commercial version of Wikipedia led to members of their Spanish site effectively leaving in protest and setting up their own encyclopedia) and Chapter 5: The Piranha Effect, which I gave to my MA Online Journalism students as one of their first readings. The book also deals with trolls, vandalism (the Siegenthaler incident) and censorship. 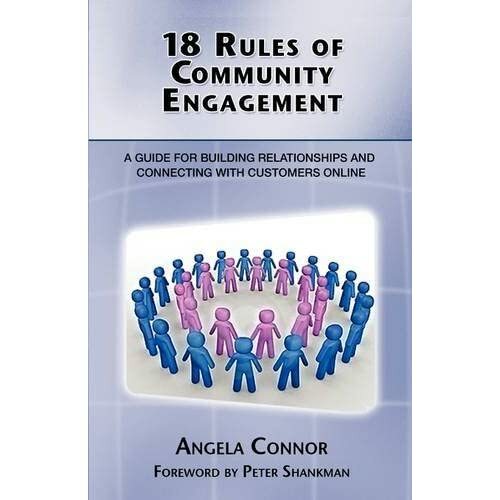 The second great book is from experienced community manager Angela Connor: 18 Rules of Community Engagement (also available as an e-book). This is a great complement to Lih’s as this comes from a very different, practical, angle drawing not just on her own knowledge but those of readers of her blog. In fact, it’s a very bloggy book generally. Connor emphasises the need to invest lots of time in any community developing relationships, making connections and fostering relationships. She looks at the importance of content (of the right type) and questions, of rules and culture, egos and compliments, influence and complaints. It’s a breezy book that doesn’t impose one solution on every problem but frequently returns to the fact that every community is different, and so even common problems like trolls and spamming will have different solutions. That said, there are plenty of experiences offered. These are probably the best 2 books I’ve read on online communities – but if you’ve read something good in the area, please let me know. This entry was posted in online journalism and tagged Andrew Lih, Angela Connor, book, community management, Online Communities, review, The Wikipedia Revolution, Virtual community on November 3, 2009 by Paul Bradshaw.